Writing Prompt: Smooth operator. Smooth moves. Smooth out the wrinkles. Smooth over. Smooth vs rough. Rough rider. Rough roads. Rough and rugged. Rough and tumble. What tempts your creative mind? Rough or smooth? Pick one. Or pick both. Go. Write. Have fun. 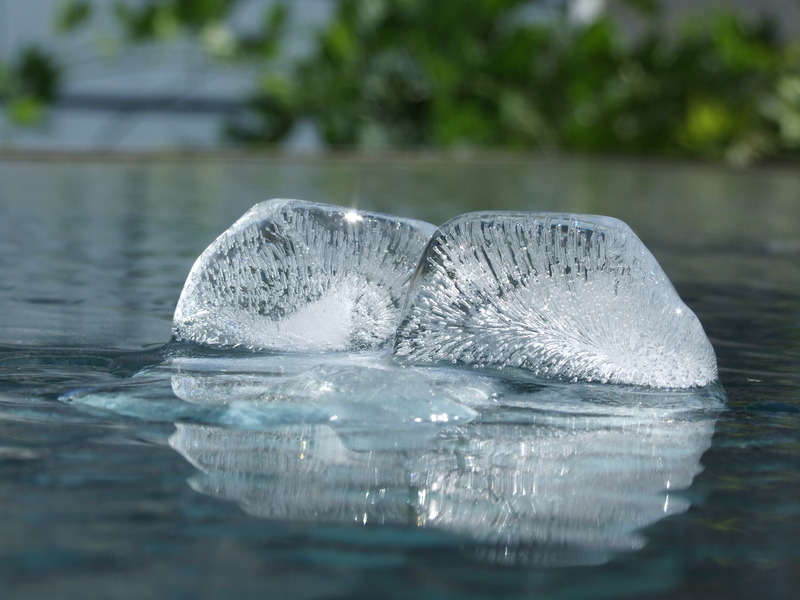 Such interesting patterns on the ice cubes…an ethereal beauty to them! What interested me was the tension of the water on the table and that the dust on the table is floating on top of the water, as though the water lifted it rather than mixed with it. I’m guessing that’s exactly what happened since the tension creates a skin-like surface. It’s so cool. Water has such amazing and fascinating properties! show rough as a negative word. Thanks for this-it got me thinking.